What better gift to give this season than some lip and bodycare products that ensure your skin doesn’t dry out? If you’re looking for just that, than EOS has just the thing for you. 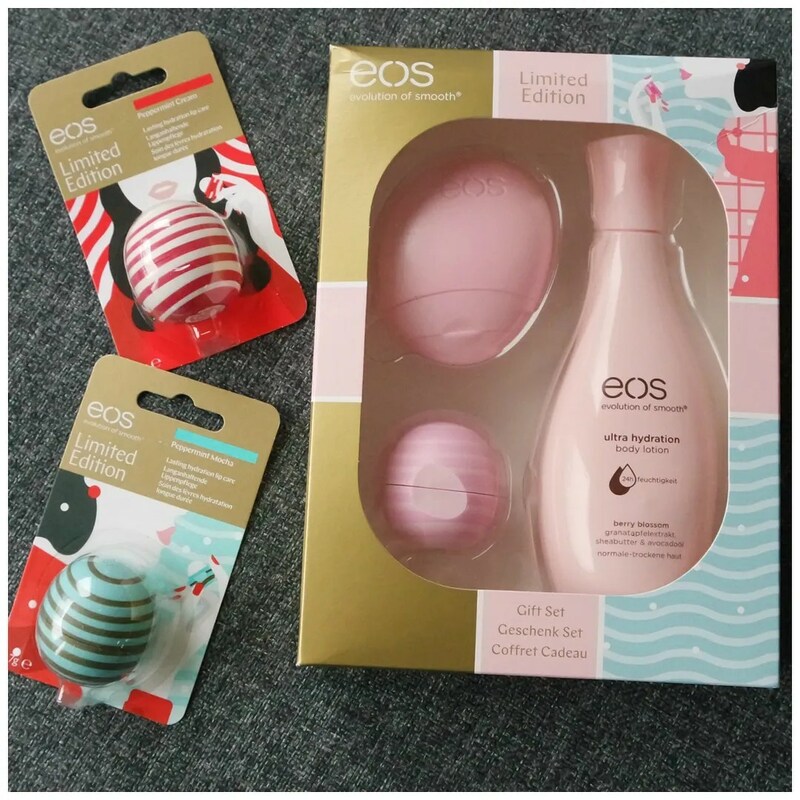 Let me introduce you to the new limited edition EOS products for Christmas 2017. 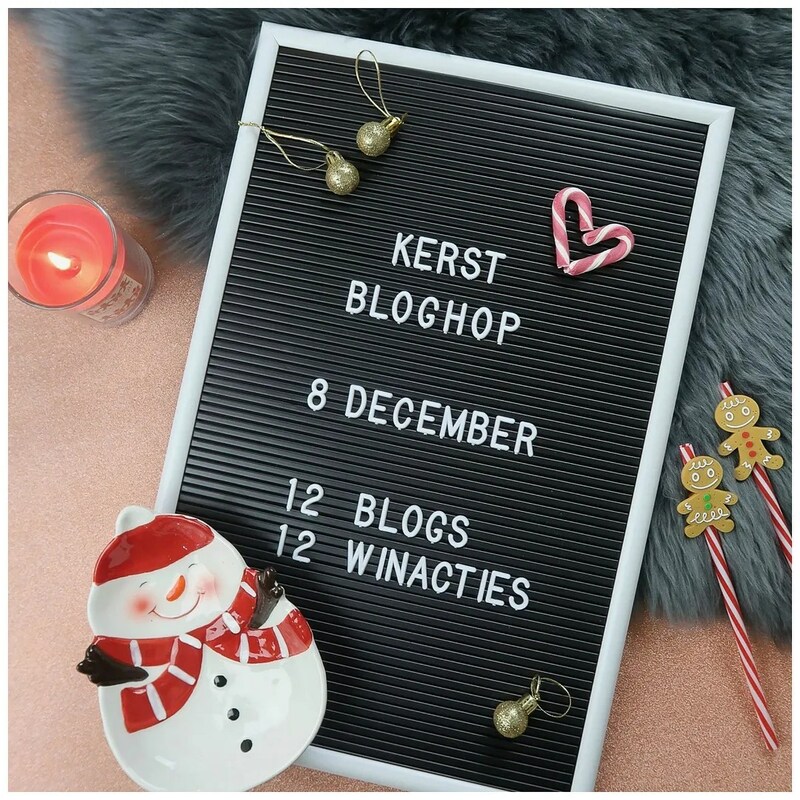 Merry Christmas!!! 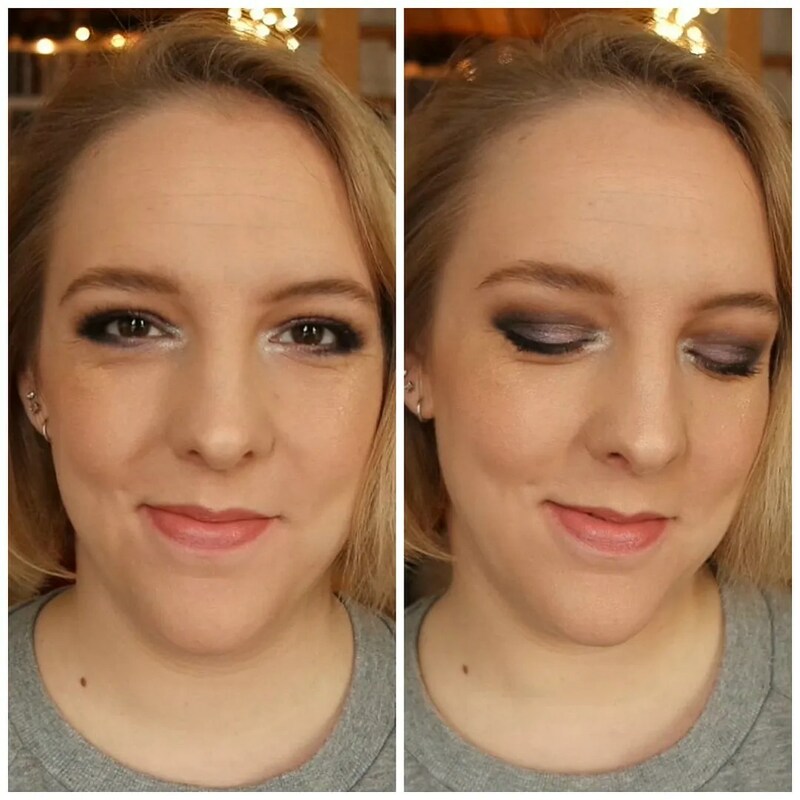 Today is Christmas Day and what better video to put up than a festive make up look? I decided to steer clear of the standard red and gold look for this one and focused on purple and shimmer instead. I use some trusted favorites and use some brand spanking new products as well. 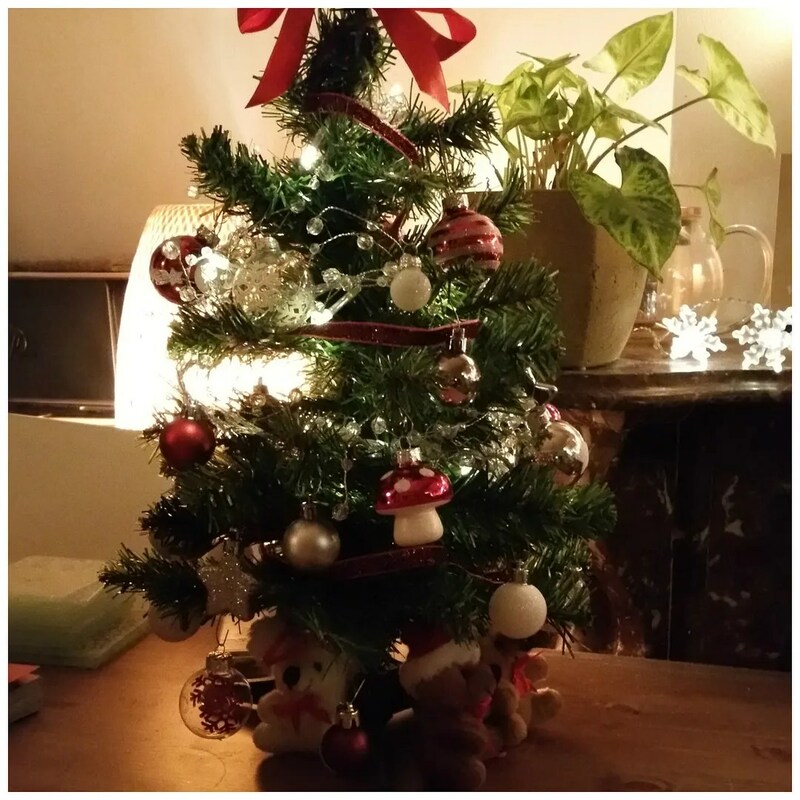 I hope you enjoy and have a great Christmas/ whatever holiday you might be celebrating this time of year. Honestly, I hadn’t planned on buying any polish. When seeing these collections being released online, I did not experience my usual: OOOH I NEED THAT IN MY LIFE! moment. Instead, I felt a little lackluster and mwah about it all. And then I saw them in stores. With my own eyes. And then I thought: I NEED THEM ALL! And then you see some more polish that is being sold for cheaper that is near the register and then you fall into that death trap called on the spot marketing. Or maybe I am just a sucker for all things shiny and glittery for nails. Here’s what I got from Essie’s & OPI’s 2015 Christmas collections called Virgin Snow and Starlight respectively. My newest treasured possesions, aren’t they beauties? For today’s second post, I thought I’d give you a head’s up to something (I think) exciting I am working on on my Instagram account: @indiequeen84. 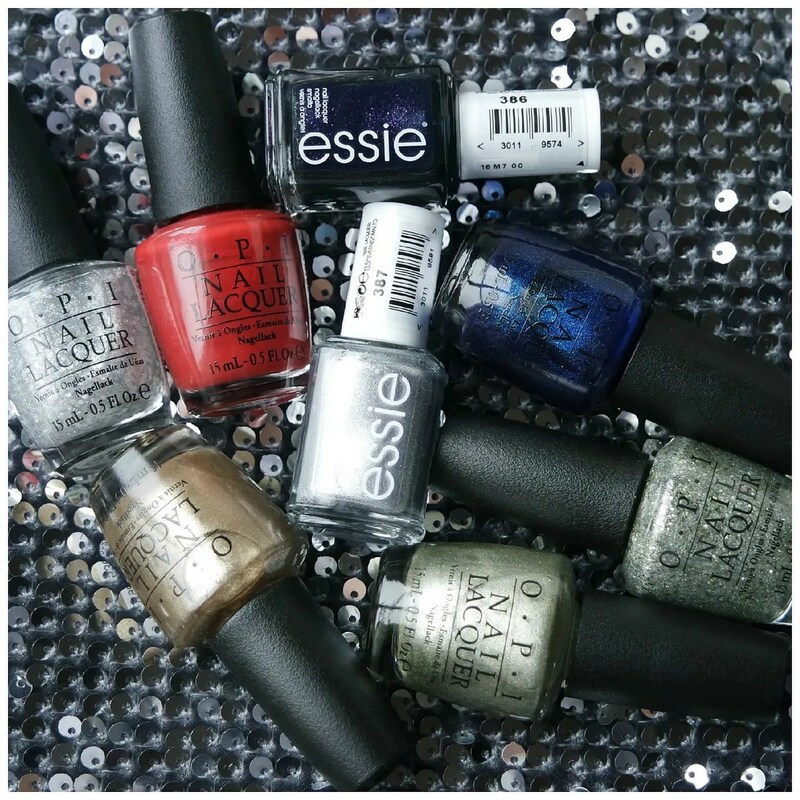 It’s the Essence 2015 Christmas Advent Calendar featuring nothing but limited edition nail polish related items! One day till Christmas, so it couldn’t be more apt to be posting about this lovely shower gel. A few weeks ago I set into Lush to repurchase to of my all time favorites: Angels on Bare Skin and Flying Fox. I came away with the equivalents of these products, but from the Holiday line. 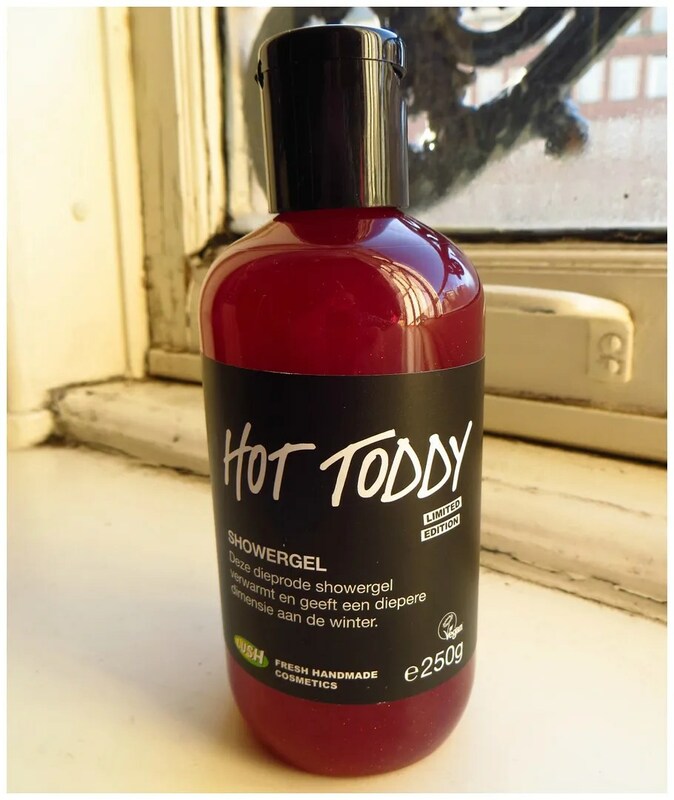 I already reviewed face cleanser Bûche de Noël here, and today I’m reviewing Hot Toddy shower gel. 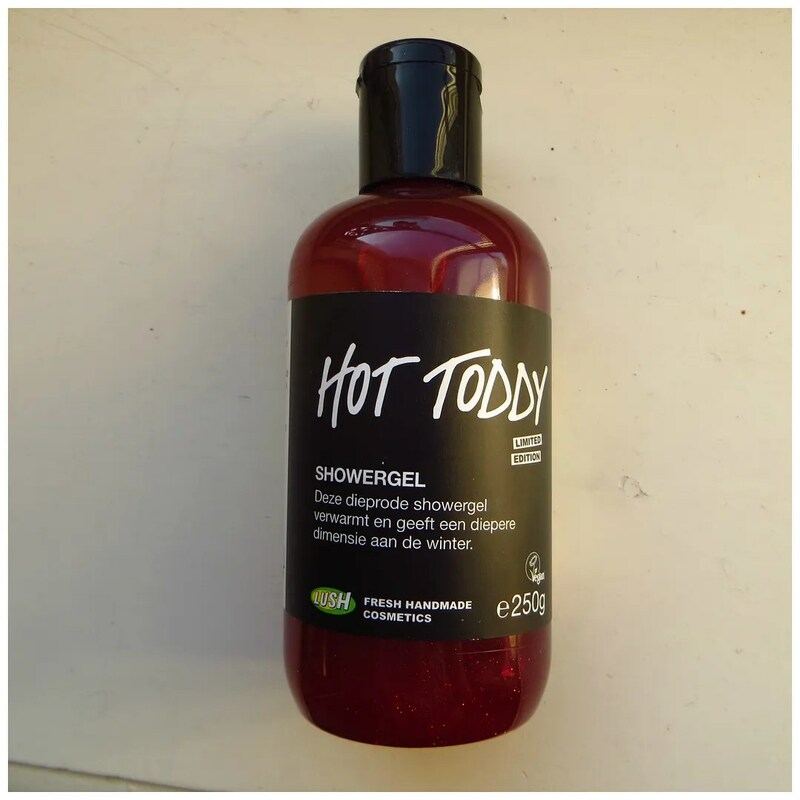 Hot Toddy is a shower gel which Lush released specifically for their Christmas collection. I bought the medium size which retails for €15.95 for 250 ml. That’s as much as Flying Fox shower gel. The smell is very warm and winter appropriate. It reminds me a bit of a limited edition shower gel Lush did a few years ago as part of their Holiday collection, which was called Glögg. It also reminds me of Glühwein, and cinnamon buns. Ruby red and cinnamon scented, our sparkling Hot Toddy shower gel will transport your senses to the warmest reaches of your mind. Come in from the cold and lather up with a fresh ginger infusion and cinnamon leaf oil mix that will keep you cozy on the chilliest days. It’ll even leave a delectable, cinnamon-y scent on your skin that’s not overpowering – unlike a certain cinnamon-y, heart-shaped candy…any guesses? I was right about the cinnamon! And it definitely smells cozy. I love using this scent before I go to bed. It’s as if you’re wrapping yourself in a comfortable warm blanket. It doesn’t help to sleep as deeply as Flying Fox, but it definitely gets the job done. 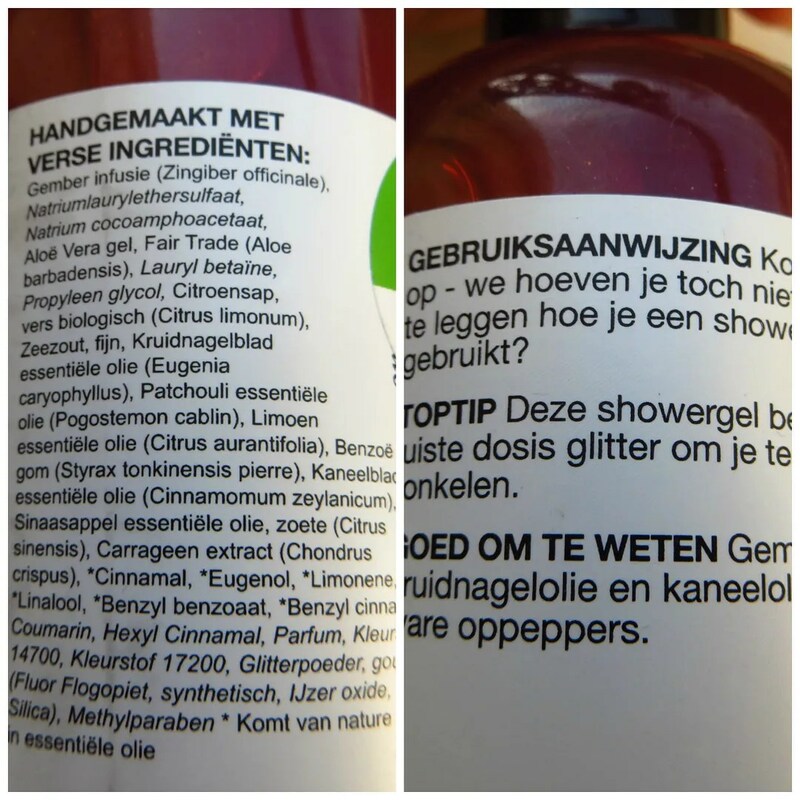 As you can see in the picture above, the shower gel is infused with gold glitter. But you don’t have to worry to come out of your shower looking like a human disco ball. I find it hard to get the glitter out of the bottle as you can see below. But before we look at the product inside, let’s have a look at the ingredients. According to the packaging this shower gel includes cloves and cinnamon to perk you up. The list starts with ginger, followed by the foaming agents. Next in line is aloe vera and around halfway through you’ll find cloves, patchouli, lime, cinnamon and orange oils. The reason why this shower gel smells like Christmas! All the way at the bottom there’s perfume and also some colorings to help the color of the product. 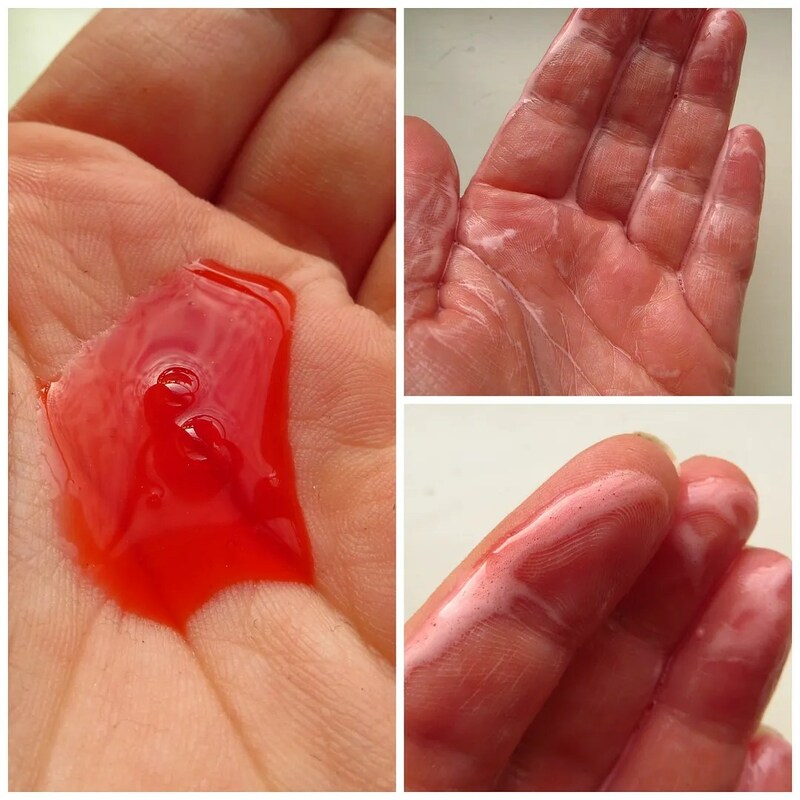 So it’s not 100% natural, but I don’t believe Lush claims this product to be that. Right, moving on to the product itself. It smells heavenly, the ingredients list looks alright, but does it do what it’s supposed to do. One thing I love about this shower gel that I find it more nourishing than most shower gels. You can see why in the close up in the bottom right corner. It foams up nicely, but leaves a bit of an oily residue. The smell lingers in your shower and on your skin, but subtly so. I personally love shower gels like that. The glitter as you can see is pretty non-existent. I even put this upside down to hopefully help the glitter to distribute more evenly in the bottle, but no such thing happened. I am curious to see whether it will show up once I start nearing the end of the bottle. Yup, you guessed it right: I love Hot Toddy. It’s perfect for this time of year and I will be surely using up the whole bottle. But I don’t mind it running out and having to repurchase Flying Fox come this spring. I love this smell but it’s not one I’d be into for an entire year. 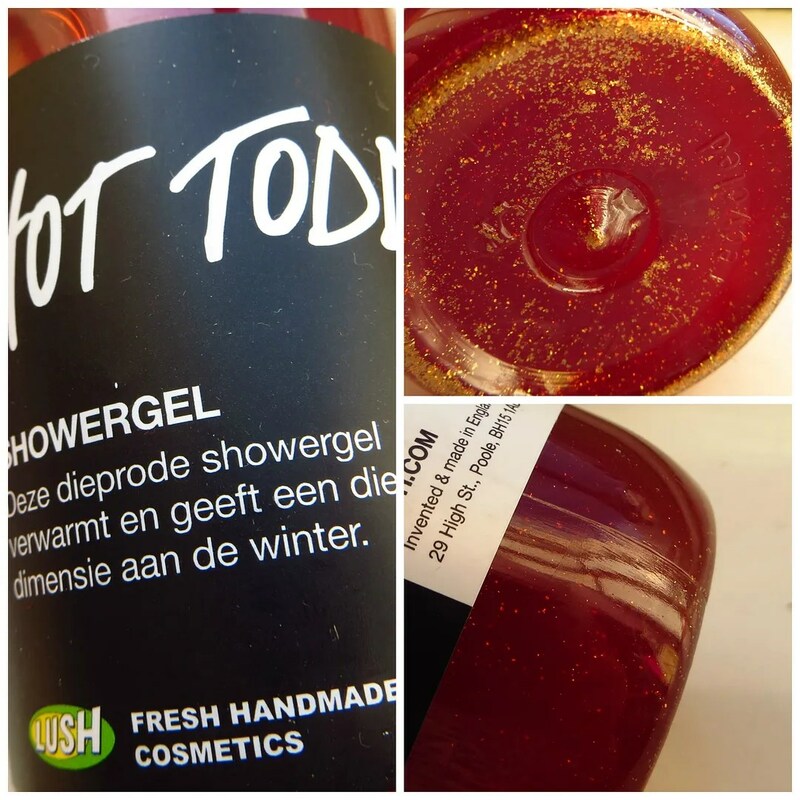 What is your favorite winter shower gel?